Once you have had difficulties leading to a bad credit rating it can be difficult to get a loan. 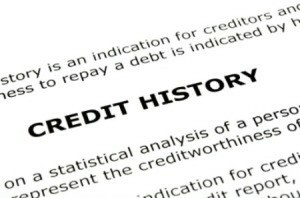 This is a guide about getting a loan with bad credit. Is there any place that will give you a loan, not a payday loan, when you have very bad credit, no home ownership, but do have a full time job? I am desperate in PA.
Banks are in business to make money and not to lose it. Consider this a life lesson and learn from past mistakes--which means not repeating them. Have you spoken to a bank? Don't assume they won't help you, ask. You may be able to get the help you need if you are willing to accept some extra terms, like payroll deduction payments. Tell the bank what the money is needed for. Oddly enough, it can make a difference. The bank may know of resources that can help you in your area. For instance, in my town the banks know about the services the hospital has to help with medical bills. If you are in over your head, try a credit counseling service. Showing you are working on fixing the problem, not just patching it up, will help. If the loan is for Christmas, don't do it. There has to be another way. For car problems? Try bartering with a car place. IE: can you clean their office and bathroom for 1 month in exchange for a pair of mounted tires. Sounds silly, but it really works. I'm not really sure why the guest poster thought that was helpful advice, but I hope this is better. I know it can be intimidating going and pouring your heart out to a stranger at a bank, especially when there's a good chance they will have to say no. But it's the best place to start. Banks are in the money business, they know how to help people with money. Best wishes, let us know how it turns out. Your experience will help others. I had recently acquired a loan through wells fargo bank ,They will preapprove you for a home loan so you will know how much you have to work with,I also had not so great credit since my husband passed away and i was unable to pay debt. Not all places are to make money some will help and I think them every chance I get I also have my payment to come out of my bank account each month . I am a very creative person, I love to cook with a passion. When I cook I start from scratch. I even roast my own coffee at home. Everyone enjoys my food, even the mayor of the city. He is crazy about my coffee. My food is healthy and very unique. I own a catering business just for special meetings and private events. My question is I am trying to get food truck so I can provide/serve it to the community where I live, especially to the kids since I have kids and I only feed them homemade food; even dessert is homemade. I have bad credit and I can not afford to buy the food truck. Is there any way I can get it and pay for it monthly after I start the business? Please any advice or opinions that can help. Thank you for your time! You could find someone to cosign one for you. Find someone with better credit willing to do that for you. Most banks will accept that. YOu could do a GOFUNDME or even kickstarter campaign. If it's true that even the major believes in you, you should have no trouble fundraising. You could try a kickstarter campaign. Investors may want to see your credit, so I'm not sure you will be successful.